In the Swedish town Norrköping, all 30 girls of a learning group have been subjected to Female Gentital Mutilation, as the Newspaper Norrköpings Tidningar reported at the end of June. All victims are members of immigrant families – mostly from Somalia – and have been mutilated in the worst possible way that includes the complete removal of the external Genitalia and the Sewing of the vaginal opening. These crimes came to light within a pilot project for which Norrköping has been chosen to be the sample city and which includes the medical examination of girls at school. Since March, more than 60 cases of Female Genital Mutilation among minor girls have therefore been detected. Sweden has been the first country in Europe to explicitly criminalise Female Genital Mutilation (1982) and to inflict a penalty of up to ten years in prison in case of infringement. But in fact, the perpetrators have been allowed until now to mutilate their daughters without fearing any prosecution. As the local police and the state attorney confirmed us, the relevant authorities did not press charges after detecting the girls being victims of FGM. For the police, it is therefore impossible to run the necessary investigations which could lead to appropriate court proceedings against the parents because of the instigation of a severe crime against their daughters. There are two authorities responsible for this failure. The first one is the School Health Service that discovered the mutilations. Its head, Monika Sannebrink, informed us that her Service merely reported the cases to the Social Service – but she is not willing or not able to explain why she did not report to the police as well. Tough, the Swedish Act prohibiting the Genital Mutilation of women stipulates that anyone who fails to report the performance or attempt of FGM to the police is punishable in accordance with section 23 of the Penal code. Since last year, the duties have even been enforced: According to the “Secrecy Act”, professionals within the Social Services have the duty to report cases of FGM to the police. Furthermore, professionals in schools and in children day care centres and ordinary citizens have a duty to report any suspicion of FGM to the Social Authorities. Any official who fails reporting commits a breach of duty and may be prosecuted. Since January 1st 2013, the Secrecy Act has been strengthened even further so that professionals in the Social Services have the duty to report FGM cases also when there is (only) asuspicion that a child is or may be subject to FGM. The proceeding of the FGM cases in Norrköping directly refers to a government paper released by Jan Björklund. This paper is lacking any hint or obligation to report such cases to the police. 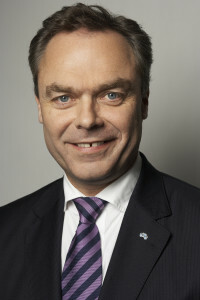 institution is referring to the requirements of the government contract that has been released last year by the minister of education, Jan Björklund. In Björklund’s paper, any hint or advice to involve the police as soon as the mutilation of a girl has been detected is missing – and there was no answer from the ministry to the question for which reason this important obligation is not being mentioned in this paper. Apart from the fact that it would be the sole duty of the police to investigate and “determine” the details of these crimes, including the time frame in which they were committed, it is not impossible at all to prosecute the parents even if they mutilated their daughters prior the migration to Sweden, as Norrköpings prosecutor Marie Kronqvist Berg explains in an interview with Norrköpings Tidningar. She also fails to understand why the law enforcement agencies have not been involved in order to investigate the 60 concrete cases of mutilated girls. 1. With way the 60 cases of Female Genital Mutilation in Norrköping are being treated, Sweden is missing another chance to finally show the willingness to seriously and consequently take action against the mutilation of girls in the country – after more than 30 years of nothing but lip services. Marie Kronqvist Berg, prosecutor in Norrköping, fails to understand why the 60 cases of Female Genital Mutilation have not been reported to the police. 2. Despite the fact that the Swedish Penal Code is stipulating the punishment of FGM with up to 10 years in prison, the authorities in charge (School Health Service and Social Service) decided not to report the cases to the police in order to file appropriate charges against them. 3. This failure implies a massive undermining of the legal system and is sending the devastating message to the perpetrators that regardless the explicit anchorage of FGM in the penal code, they do not have to fear any penalty – even if the mutilation of their daughters has been properly identified. They only have to claim that the mutilation took place prior their migration to Sweden. One could barely encourage the perpetrator more to continue with these crimes now and in the future. 4. Without medical check ups, it remains an unsolvable task to get clarity about the mutilations: Therefore, these controls are essential to identify the victims and perpetrators (=instigating parents/families). It is obvious that the 60 cases are just the tip of a huge iceberg – even in a small town like Norrköping – and many victims remain invisible, especially those who have been born and raised in Sweden. We can only guess the harrowing dimension Female Genital Mutilation reaches in the larger Swedish municipalities like Malmö, Gothenburg or Stockholm. But we are well aware that in Europe, up to 80% of the girls at risk – especially in the High risk groups like immigrants from Somalia – are in fact subjected to Female Genital Mutilation in front of our doors.